I'm just Coco Loco from the heat!!! I can't stop grilling, seriously us New Yorkers gotta take advantage of this hea. Before you know it we'll be outside shoveling snow again. 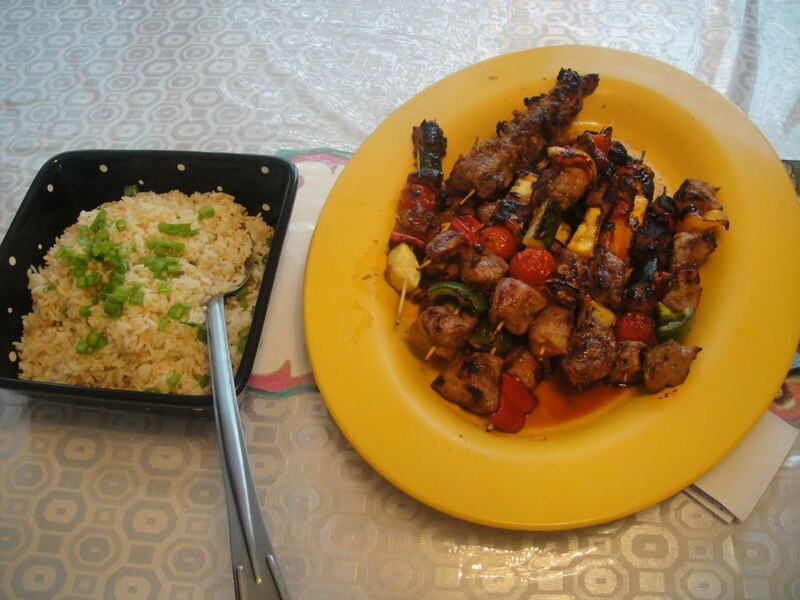 I'm preparing my Polynesian Pork Tenderloin Kabobs and adding in my garden vegetables that are growing gorgeously in my yard!!! To compliment my kabobs and embrace summer, I'm serving Chef Jen's Coconut Ginger Rice which I make with coconut milk, fresh ginger and lemongrass...fantastico!